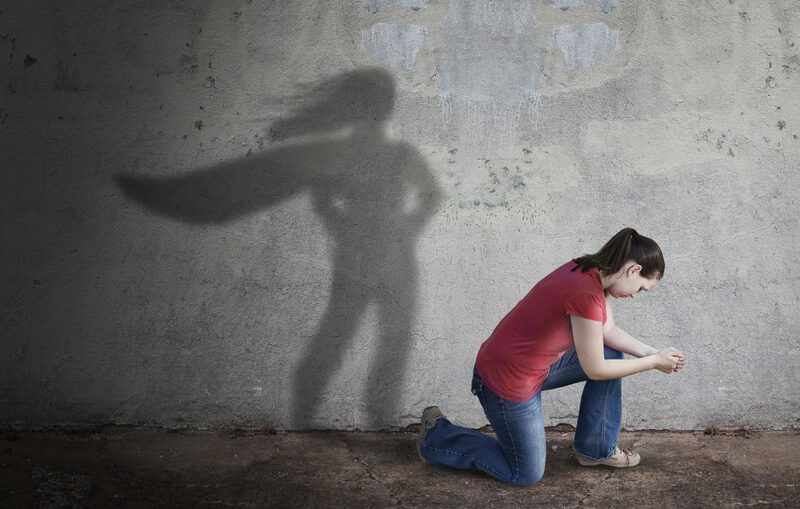 Are You An Invisible Hero? The world is full of Invisible Heroes. People who are changing the world. People who do not realize how courageous they are. 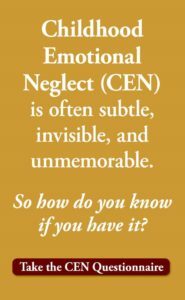 Quiet, unsung Emotional Warriors, who avoid the spotlight, even though they should have it. How do I know this? I meet them every day. The truth is you may be one yourself. Maybe you’ve never saved anyone from a burning building, and maybe you never will. But still, you may be one of the most courageous among us. How? By breaking through the bonds that were placed upon you in childhood, and looking your own weaknesses straight in the face. By seeing and owning and believing and working. By having the courage to sit with your pain. All of these are the most difficult things to do in life. We celebrate the heroes who take risks, or sacrifice themselves to physically save others, as we surely should. But what about the ones who save others emotionally, even while they are suffering themselves? We don’t see them. We don’t hear them. We don’t give them awards, and they don’t get written up in any newspaper. Yet they are quietly making a tremendous contribution to the health and happiness of the human race. Do you treat others better than your parents treated you? Do you give your children what you never got yourself? A man whose parents never said “I love you” makes a point to say it to his own children every day. A woman struggles to face her own anxieties so that she won’t pass them down to her children. A man who grew up watching his father verbally abuse his mother purposely takes great care in how he treats his wife. 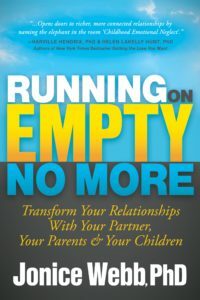 A woman goes into rehab because she doesn’t want to be an alcoholic, as her mother was. All of these people are Invisible Heroes. All of them are soldiers of care. Each deserves credit and recognition, but few will seek it, and most will not even accept credit if offered. Of course we now know that women are just as heroic as men. And we know that if we are to make our own lives better, we must face not dragons or enemies, but the most painful parts of ourselves. And when we do, we offer those near us, our husbands and wives, our friends and family, and especially our children, more than we ever received ourselves. So this is a tribute to all of you Invisible Heroes. May you, at least inside yourself, know that you are a possessor of true courage and strength. Know that you are making a great difference in our world. And be proud of the footprints that you leave upon the sands of time. 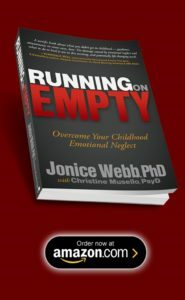 To learn more about how to give what you never got, see Running on Empty: Overcome Your Childhood Emotional Neglect. I was in the military/skydiver, 18 years in Law Enforcement, Fire and rescue, Disaster Response Team, busy Emergency Room. I helped a lot of people, saved their life…maybe a couple. Came close to losing my life helping others. I think that was expected though. I’m a female and I feel so spent, something missing in my life. It was my childhood. But a hero? No, don’t feel that at all. Hi Jonice, it takes so much courage and determination to change the habits of a lifetime, to live your life how you want, not how somebody thinks you should live it. To find your voice and set your boundaries against the behaviour of others who think it’s ok to treat you like some sort of doormat. Not to be “good” or “nice”, but to be real.